The arms race to make the next killer cryptocurrency and blockchain app continues! Ethereum pioneered this trend and still aims to be the world’s only super-computer by hosting numerous smart contracts and DApps. Following in the footsteps of Ethereum, many new cryptocurrencies and blockchain projects have mushroomed up, some of which we have also discussed in the past (such as Straits, Waves, Counterparty, Ethereum Classic, etc.). All these projects offer something different, and that’s why this booming world is so exciting! 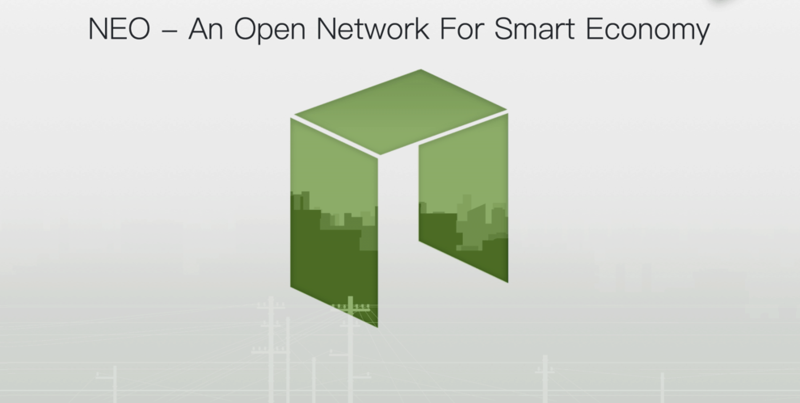 Recently, a new contender has joined the race – NEO (formerly known as Antshares). In the last few weeks, if you were monitoring the altcoin market, then I am sure you heard about NEO. NEO is the cryptocurrency which has most recently given a powerful return to its investors, eventually reaching its all-time high of $52 per token. I didn’t cover it at that time because I was expecting a correction in price. A few days ago, the Chinese government announced a ban on ICOs which directly affected NEO – a Chinese company. Now, I believe the price has finally corrected itself (around $35.73 at the time of this writing). So without further delay, let’s begin looking at this buzzing cryptocurrency. NEO is often referred to as “Chinese Ethereum” or “Ethereum’s killer“ by many, but in this article, I will not call it anything like that. I think many crypto projects have a great future because of their reasons for being built (i.e. the problems they solve). NEO is no exception. Apart from the NEO cryptocurrency, NEO has one more crypto-token called GAS (formerly know as ANC-Antcoins). I will discuss both further in the article. Goal: To be the vanguard in the effort of building a smart economy. Note: On 22nd June 2017, Antshares rebranded itself to NEO in front of 200 attendees at the Microsoft HQ in Beijing. It was rebranded to renew its professional image. NEO was chosen as the name because “NEO” in Greek means, “newness, novelty, and youth”. Digital Assets- NEO aims to convert traditional assets into digital ones using smart contracts. These digital assets will be decentralized and will be protected by law using digital certificates on the blockchain, which in turn, will guarantee trust. Digital Identity– NEO will enable the creation of identity information of organizations, individuals, and entities in electronic form. These identities will be usable via multi-factor authentication mechanisms such as facial recognition, fingerprints, voice recognition, and SMS. Smart Contracts– The name “smart contracts” was coined by a cryptologist and computer scientist, Nick Szabo, in the 90s. (See our extensive guide on smart contracts here.) The smart contract platform developed by NEO is truly revolutionary. In NEO, unlike other smart contract platforms, you need not learn a new smart contract language. If you are a developer using C#, Java, or any other mainstream programming language, you can get started right now to code your smart contracts. NEO’s Universal Lightweight Virtual Machine (NeoVM) has the advantage of high certainty, high concurrency, and high scalability for smart contracts based on the blockchain. 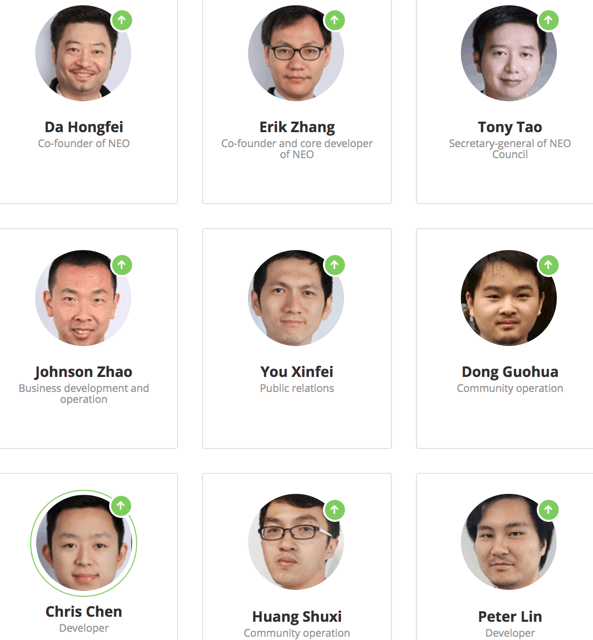 DApps– NEO will support the development of decentralized applications by continuously supporting and developing more mature development tools and techniques. (See our extensive guide on DApps here.) Some of the examples of DApps are smart funds, AI-assisted legal smart contracts, and decentralized exchanges. NEO – formerly known as Antshares (ANS). GAS – formerly known as Antcoins (ANC). The NEO token acts as the investment token of the NEO blockchain. It has a hard cap total of 100 million tokens which will be used in block creation, network management, network changes, and other consensus requirements. These 100 million tokens were all pre-mined during the genesis block creation. One unique thing to note is that NEO is unlike other cryptocurrencies in the fact that it is not divisible; the smallest unit will always be 1. The GAS token also has a 100 million hard cap, but it acts as the fuel for the NEO blockchain. Unlike the NEO token, GAS is divisible by a factor of 1/10^8, and it was not pre-mined. 100 million GAS tokens will ultimately be generated through a decay algorithm in about 22 years. GAS will be used for resource allocation and network charges for operations such as running DApps, smart contracts, and providing incentives for maintaining the blockchain. 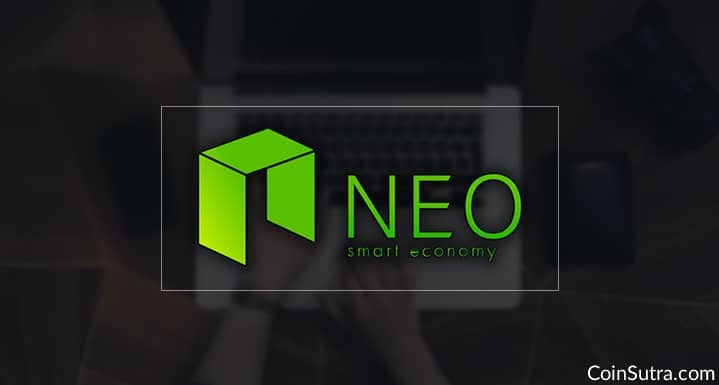 The total circulating supply of NEO is 65 million tokens, and the current price of each unit is $18.73. At the time of this writing, the current market cap is $1.1 billion (CoinMarketCap). How To Buy NEO Cryptocurrency? Buying NEO directly from fiat currency is a little difficult. But you can always exchange your other coins, such as BTC, LTC, or ETH in exchange for NEO tokens. The procedure is very simple. Your NEO address where you would like to get your NEO tokens. Some bitcoins/altcoins to exchange for NEO. Note: Though this guide shows you how to buy Ripple in exchange for BTC, the process is exactly the same to buy NEO. I have used Changelly several times without any issues. You can check out our Changelly review here. Below is a list of established cryptocurrency exchanges listing NEO, but only Binance gives you access to the GAS token for holding NEO. Neo doesn’t have many wallet options, but for early adopters, there are definitely options out there. These wallets also support NEP-2, NEP-5, NEP-9 tokens. Additionally, the ability to code smart contracts and DApps in mainstream programming languages such as C#, Go, and JAVA is a major advantage point. This is a positive thing for developers because it lowers the entry barrier for them and reduces the time-cost factor for learning a whole new smart contract language. This one single point alone makes it a strong competitor of Ethereum because, with more common languages available to devs, more smart contracts and DApps will be deployed on the platform, thus causing a price rally. From a technological point of view, NEO looks better than many other projects out there as it is also Turing complete, like Ethereum. And let’s also not forget the recent price rally of NEO in which it surged from $6 to $52 almost overnight, reaching the top 5 market cap and bypassing NEM, DASH, STRAT, and LTC. I think this price rally was mainly because investors could see the potential in NEO’s white paper. The biggest hurdle right now with NEO is the China regulation scene. Update: NEO is moving sideways as of now and is at $15 and right now it is in top 15 currencies but as you know, price is just a number. After Chinese trying to regulate Cryptocurrency industry and banning ICO’s, the future of NEO is doubtful for now. From a winning ship, it’s now a sinking ship. Only if Chinese life the ban on ICO’s then Neo could become Ethereum killer as what we hoped for. For now, the price will fall more until it found a proper support. So let me know: Are you invested in NEO? What do you like/don’t like about the platform? Share your thoughts with us in the comments below! And if you found this post useful, don’t forget to share it on social media! 2.1 How To Buy NEO Cryptocurrency? Thank you so much! Your article is very clear. Now I can understand so many things! Best regards! NEO is certainly not Dead. China would be naive to do away with this breakthrough technology. You will certainly see short-term quietness but overall it should be good when regulations are put in place. Zcash I don’t know if they are doing something with contracts? But anon coins are here to stay when governments start cracking down open, public blockchains. so to invest in this stuff do u buy neo or do u buy gas? cool thanks .. also i was looking at other things like Qtum – is that someething u think makes sense or is it still too new and untested? 1. Your article say “One unique thing to note is that NEO is unlike other cryptocurrencies in the fact that it is not divisible; the smallest unit will always be 1”. But I see NEO in Exchanges is trading in decimal unit, e.g. 0.1006…. why? 2. 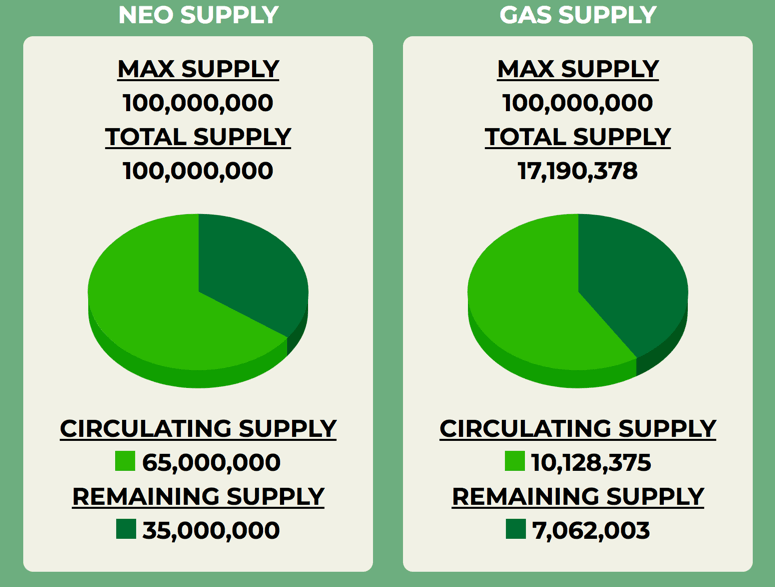 NEO is trading by investors but no one trading GAS…..I understand NEO can earn GAS on a daily basis but what’s the value of GAS to investors if they cannot be converted to fiat money? 1. It is in decimals only on the exchange books not actually on the NEO blockchain. 2. GAS is being traded on Binance and KuCoin exchanges. Bhai bhai. Nice article. Crypto Taxes is the one everyone is interested in US and I am sure in India too. Yeah, will be doing a write-up on that too after my research is complete. Very less accurate info available as of now. The Neo token is not and has never be meant to act as a method of paymen, right? If I own a Neo the closest match within the traditional financial market is owning a stock, a security. I believe the idea of bridging physical assets into the digital world is phenomenal, but how can I trust that the “Neo Company” won’t just change its name, walk away with all the tokens investments, change its name, register in the Forex stock market and I’ll lose my humble contribucion of a few single digits?